In parts one and two of this series, I shared tips on the basics of working with the media and on working with new media - blogs, web-only publications, etc. Now I'd like to show you what it looks like when animal welfare organizations get those things right. Want to make sure the media pays attention when you reach out to them? Don't waste their time. PR Daily recently estimated that 90% of media releases are "pure, promotional garbage that have absolutely zero news value." Falling into that 90% means you'll not only fail to get the coverage for your organization you were hoping for with that release, but also antagonize the very reporters you're trying to get on your side. "We send out at least one news release a week," said Bonney Brown of the Nevada Humane Society (NHS). "We focus on making our releases creative as well as frequent. But most importantly, a news release does need to be news. If you're sending something that's not newsworthy, it won't have the effect you were hoping for." Brown says they send their releases to all local print publications, local radio and television stations - there are four in Reno, all featuring local reporting - and to online media as well, including pet bloggers, parenting blogs, and blogs aimed at the local Reno scene or people who are new to the area. The aggressive approach paid off. They asked the editorial board of the Reno Gazette-Journal for a meeting, and were given a weekly column and "pet of the week" feature. 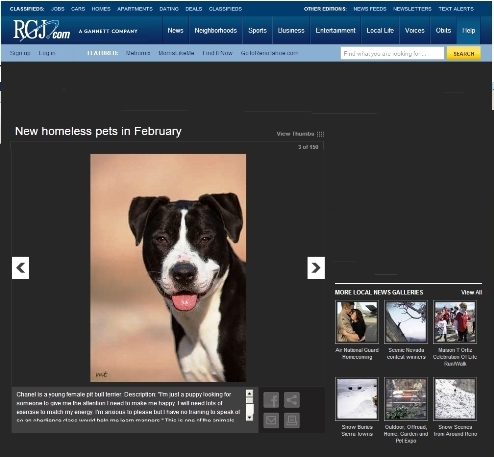 One week later, the Reno-Sparks Tribune approached them and asked if they, too, could feature an NHS "pet of the week." "One of the things that helped us is getting great photos and giving them to the media," Brown said. "That's especially true of television stations. And whether it's print, television, or bloggers, if we get a breaking story, such as a hoarding situation, we call the media to get down there right while it's happening. And they come when we call because they know they can count on us for news." Once, Brown said, the Reno Gazette-Journal (RGJ) created a slideshow of 15 photos from a cat hoarding case. "That gallery had over 10,000 hits after being sent out over Twitter by one of our volunteers. Another one featuring dogs got even more. The newspapers love us for things like this because we drive traffic to their sites." "We do frequent adoption promotions," said Brown - an understatement for an organization that has run adoption events not just for holidays like Christmas and Halloween, but also for Arbor Day, a local balloon race, and the return of favorite television series after a hiatus. Does the media cover these promotions? They do - even local television stations, which have done frequent reports on how many pets are being adopted over some of the longer promotions - help to build the adoption "buzz." And it's not just adoption promotions. "These are relationships that develop over time," said Brown. "So now we can reach out to the media when we have critical needs for pet food or supplies, or donations for an individual animal. The media likes to come down to the shelter, to film the animals and talk about them." Most shelters do everything they can to keep anything viral out of the shelter, but when it comes to YouTube videos, "viral" is a good thing. "That video got over 130,000 hits on YouTube," said WHS's Angela Speed. "Then the media discovered it. It played locally on Fox, ABC and NBC. It got picked up in Green Bay, Madison, Minneapolis, and Dayton, Ohio. It was shown on the news in Grand Rapids, Michigan and in Vancouver, Canada. "It was covered by sports reporters, and in the Chicago Tribune." It even sent sales soaring in the shelter store, which sold out of Packers' dog jerseys. "Who doesn't love a puppy in a football Jersey?" Speed said with a laugh. And did the puppies get adopted? "Oh yes," she said. "And what's even better, after we realized this was so interesting to people on YouTube and we saw the jump in subscribers to our YouTube channel, we started doing a video for pretty much every one of our pets in a category that has traditionally had a longer stay in the shelter - seniors, pets with health issues, and so on. "It's dramatically reduced the length of stay in the shelter for every pet we featured. This wasn't just a one-time thing because we took advantage of the response and kept the momentum." WHS has equipped their adoption counselors with inexpensive Flip™ video cameras. "They've been able to take dozens of videos of the animals every week," Speed said. "The video really drives people to come in; it gives them a better idea of the animals' personalities. And after all, it's the counselors who see the animals all the time, who really know them and what their personalities are like." The take-away message? You don't need a big budget to capture the media's attention. You just need to be creative, and notice opportunities. Never underestimate the power of a good story, especially when it's about a pet facing tough times. It's a lesson Barbara Carr, Executive Director of The SPCA Serving Erie County, took to heart when the shelter started working with their local media to find homes for treatable and senior pets. The program, called "Yelp for Help," focuses exclusively on pets that are in need of some extra help finding homes. "It started as a program for fundraising for pets whose care went over $500, and also to educate the community about the work we're doing with treatable animals," Carr said. "Now it has its own television segment on one of the local affiliates." The most recent pet featured on the program was Mitsy, an 11-year-old cat with terrible dental problems and chronic urinary tract infections. "That's a hard sell," Carr said. "Mitsy had been with us for almost three months. But we made her a star on 'Yelp for Help' on Thursday, and within three days, she was adopted." 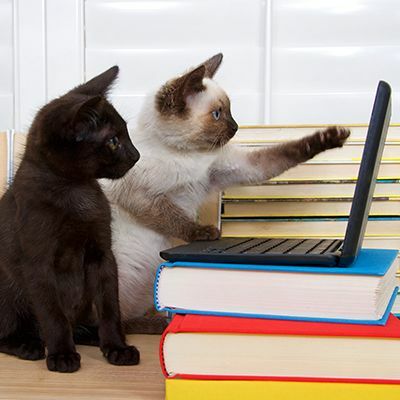 The "Yelp for Help" program features several pets a week, some on television, some on radio, and some on YouTube. "Any time you put on animal on television," Carr said, "their chances of getting adopted quickly are greatly improved." That's what happened to Isaac, a puppy mill dog with infected feet, who not only got help with his veterinary expenses, he got adopted when he was featured on "Good Morning WNY" on WKBW-TV. Seeing the way people react to the stories of the "Yelp for Help" pets changed Carr's whole view on treatable pets. "Years ago, I'd have looked at Mitsy and said, 'Why would I put a dime in this cat? She's not adoptable.'" Carr said. "But I was wrong. An 11-year-old cat with a chronic UTI? Yes, we can find her a home. It's amazing, really. It really is putting it out to the community and trusting the community to not be as jaded as we are. The fact is, they're willing to step up to the plate, and this program gives them the opportunity to do it."